The robotic workforce is on the rise. Oxford University estimates that 47% of all US jobs will be held by robots within the next twenty years. The most vulnerable jobs are repetitive tasks such as assembly line work and restaurant wait and kitchen staff. But more intellectual, creative positions are also being claimed by robots. Case in point: robot attorneys. Instead of an army of lawyers and paralegals reviewing reams of documents and billing on an hourly basis, robots can do it efficiently and at a fraction of the cost. A Palo Alto, California company has developed software that can analyze 1.5 million documents for under $100,000. That means law firm staffs billed out to do document reviews are becoming passe, thanks to artificial intelligence and robotics. As one law firm managing partner put it, robots don't get bored, don't get headaches and don't make mistakes. They also don't bill at astronomical rates. A London based legal consulting firm Jomati Consultants forecasts that by 2030 robots and artificial intelligence will dominate the legal profession. Particularly, procedural work and anything with a drilled down, research component will be performed by robots. 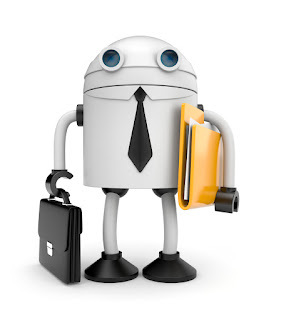 They forecast each bot will be able to do the work of dozens of lower level legal assistants. The report adds: the robots don't get tired, don't ask for pay increases and career advancement. And the cost of legal work will rapidly drop in price. However, there will still be a human component to the law. Courtroom arguments and more deliberative legal work will be done by humans. Legal expertise will still be highly prized. Jomati forecasts artificial intelligence and robotics will cause a restructuring of the legal profession. There will be virtually no place for lower level associates as the document reviews and case law research will be done by robots. However, a higher premium will be placed on top legal, human expertise and advisory services. It's a vision of the future in which AI and robotics is disrupting industries, including law.